A luxury safari in Africa is synonymous with intimate safari camps, romantically secluded lodges and vast wildernesses that stretch as far as the eye can see. Luxury African safaris are what inspired African Sky into existence, and they remain our signature service to this day. We believe that the perfect holiday is not only wild and adventurous, but also soothing to the soul and restorative in nature. Scattered across the pristine national parks and reserves of Botswana , Zambia , Namibia and South Africa , nowhere else in the world will you find a superior collection of luxury lodges and extraordinary safari experiences. Experience South Africa's two premier private game reserves while enjoying luxury safari accommodation at two of the finest lodges imaginable. Explore Botswana's three top safari areas - Chobe National Park, the Okavango Delta and the Savute Channel - during this luxurious wild adventure. This extraordinary escape provides unique luxury safari experiences in Sossusvlei and the Greater Etosha National Park in Namibia. The most comprehensive of our luxury safaris visits South Africa, Namibia and Botswana's wilderness areas, as well as Livingstone in Zambia. There is no greater way to indulge in the finer things in life than a luxury safari in Southern Africa. 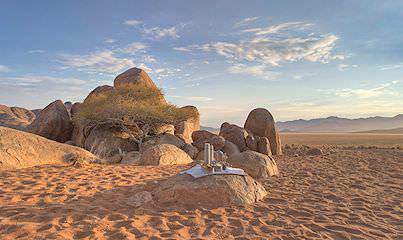 These extravagant experiences are characterized by opulent suites fit for royalty, a seemingly endless supply of mouthwatering meals, sumptuous spa treatments, and, of course, unforgettable encounters with the continent's bewitching wildlife. Naturally, you could enjoy plush accommodations anywhere in the world. What sets these luxury lodges apart are their beguiling settings, many of them far-flung and removed from the stifling burdens of civilization. Turn your thoughts instead to the call of the wild, the waterways of the Okavango Delta pierced by the gold of the setting sun, or velveteen night skies resplendent with the silver of the Milky Way. A luxury lodge is but a pretty shell without the dedication and warmth of its staff. All the lodges we use have been hand-picked for their impeccable service and attention to detail. Staff members all appear to have been hired for their 'sixth sense' - their ability to anticipate your needs, to augment your experience and to ensure that you depart the continent with lasting memories. The most exclusive & luxurious lodges imaginable are located in the Sabi Sand. Botswana's luxury lodges are characterized by blending into their natural environments. Etosha's plush lodgings are situated in game reserves that border the park. Lodges defined by awe-inspiring desert scenery and deluxe accommodations. Botswana's Chobe National Park is the country's third largest national park. The bountiful waters of the Chobe River - for which the park is named - draws a spellbinding profusion of wildlife to its fertile shores, particularly astonishing numbers of elephants. Despite its size, Chobe boasts only a small handful of upscale lodges and mobile 'glamping', ensuring an intimate luxury safari experience. 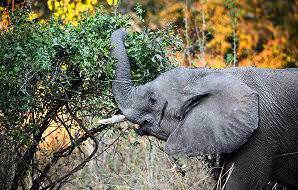 The Timbavati Private Game Reserve is the second most frequented reserve that shares an unfenced border with the Kruger National Park. With fewer lodges, you will find sightings to be pleasantly uncrowded. 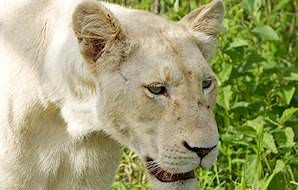 Timbavati is famous for the rare occurrence of white lions in its prides, but also for its wild safari palaces - lodges where guests can relax in the lap of luxury. 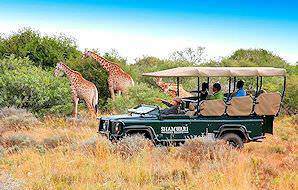 Shamwari Private Game Reserve is located in South Africa's Eastern Cape province, a few hours' drive from the popular Garden Route region. Shamwari is favored amongst families who wish to travel to malaria-free wilderness areas, but not compromise on the delightful indulgence of a luxury safari. The lodges are divided between child-friendly and adult-only, ensuring each guest's needs are met. Like Shamwari, Madikwe also offers luxury Big Five safaris in a malaria-free wilderness. That's where the similarities end, however. While Shamwari is green and lush, Madikwe straddles two drier eco-zones - bushveld and Kalahari - which creates a very unique environment. Animals that are rarely spotted elsewhere in South Africa - such as the brown hyena - may be encountered in Madikwe. Welgevonden skirts the majestic Waterberg a convenient distance from Johannesburg and Pretoria. This Big Five-bearing wilderness is characterized by towering ocher mountains and rolling valleys, carpeted with bushveld and semi-arid vegetation. Neighboring Marakele National Park hosts another sumptuous safari lodge - Marataba - in a private concession. Phinda Private Game Reserve in South Africa's KwaZulu-Natal province boasts a wilderness unlike any other. With seven distinct eco-systems, your game drives are characterized by constantly shifting tableaus that host the Big Five and a wealth of other species. The reserve's lavish lodges are defined by their surroundings, from the treed groves of Forest Lodge to Rock Lodge's lithic perch. 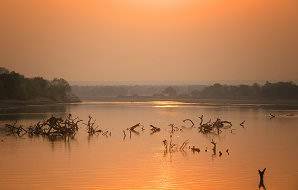 South Luangwa National Park in Zambia spans a true wilderness area of riverine beauty and oxbow lakes. It is known as the birthplace of the walking safari, and there is no finer place to unwind after a day of exploring than in the venerated villa of a luxury safari lodge. The lodges blend handsomely into their bewitching surroundings, ensuring a seamless transition from bush to abode. Spa treatments at luxury lodges typically take place either in a secluded sala or on the private deck of your suite. Regardless of the location, you will enjoy beguiling views of the bush and unwind to the scents of locally sourced products and the sounds of the wilderness all around you. Luxury safari lodges employ world-class chefs to ensure that mealtimes become more like events rather than necessities. Many lodges will include 'wild' options on the menu, like kudu sirloin, impala salad or springbok carpaccio. These meats are naturally lean and delicious, and always cooked to perfection. It is quite something to turn out the lights at night, nestle into the rich linens of your king-sized bed and then jerk awake to the blood-curdling roar of a lion beyond the snug confines of your suite. As plush as your environment may be, this is still the bush - loud, wild and wonderful. Will my safari experience be any less authentic? Just because you are opting for a luxury safari, does not mean your safari experience will be any less authentic. The lodges we make use of are located in spectacular wilderness areas - inherently wild - and your game drives and bush walks will cede unforgettable sightings. What do butler services comprise? Some of the more exclusive lodges offer personalized butler services to guests. This means that, upon your arrival, you will be assigned an individual dedicated to your personal needs, from in-room dining to ensuring that your personal preferences are communicated across the board. How safe are the lodges if they are unfenced? Often - and somewhat ironically - the more luxurious the lodge, the more blurred the lines where the property and the wilderness meet. This ensures a truly immersive experience, and it also means that wildlife occasionally wanders through the grounds. Be sure to never approach any wild animals, and never roam around unaccompanied at night - it is still perfectly safe. Do luxury lodges have particular dress codes? Despite the plush surroundings, the vast majority of luxury safari lodges are more intent on your comfort and relaxation rather than imposing a dress code for dinner. Often guests will opt to head straight to dinner after their afternoon game drives, which is perfectly acceptable. A small handful of lodges, however - like Rattray's on Mala Mala - do require semi-formal attire for dinner. Be sure to check beforehand. Can I enjoy a private safari at a luxury lodge? 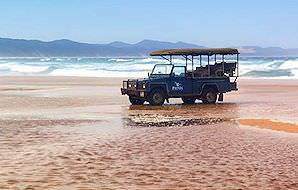 Yes - many lodges have private safari vehicles available at an additional daily rate (and subject to availability - if the lodge is full and all vehicles are in use, it would naturally not be possible). What exactly is included in 'all inclusive' packages? All inclusive typically means that all your safari activities, three meals daily, game drive refreshments, coffees, teas, soft drinks and local beers, wines and spirits are included in the price. Occasionally, more luxurious lodges include laundry services as well. Premium or imported wines and spirits and spa treatments will be added to your bill. Why do so many lodges have additional showers outdoors? The outdoor shower, though quite an exotic concept to some visitors, is a means to immerse yourself in your wilderness experience. It can be a rather relaxing affair to hear the call of birds and wildlife - or even observing them in the distance, should the shower be open to the bush - while cleansing yourself. However, all lodges still have an indoor shower as well for those who may be uncomfortable with the idea. How would I reach my luxury safari lodge? South Africa's luxury safari lodges are easily accessible by commercial flight and overland transfer. However, if you would like a more exclusive experience, charter flights are also available directly to the lodges themselves. In other Southern African countries, charter flights are the norm. 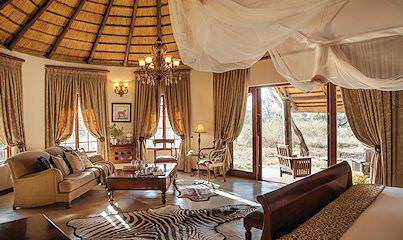 Where are the finest luxury safari lodges located? The absolute cream of the crop of safari lodges in Southern Africa are tucked away in the Sabi Sand (including Londolozi) and Mala Mala private game reserves. Will my game viewing experience be superior at a luxury safari lodge? 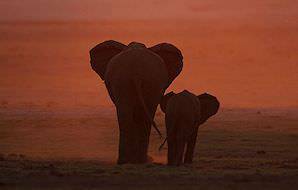 One does not need to break the bank to enjoy spectacular game viewing. You can actually enjoy equally memorable sightings at a budget safari lodge. However, many luxury lodges have exclusive traversing rights, which means a more intimate and exclusive experience and less traffic around sightings. 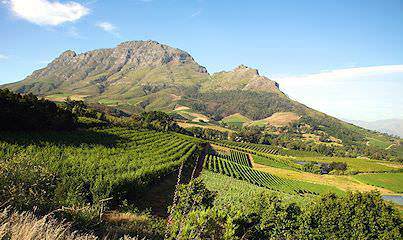 Travel to South Africa for a wide range of safari and tour experiences. 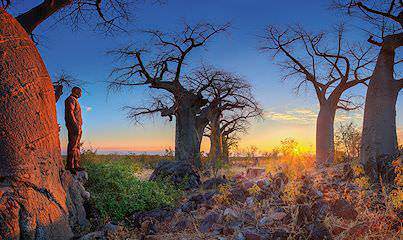 Botswana is a wild paradise of pristine wilderness areas and a wealth of wildlife. Namibia's top destinations include Swakopmund, Sossusvlei & Etosha. Zambia's national parks are remote and barely touched by development. Zimbabwe's most striking natural feature is the awe-inspiring Victoria Falls. Travel to Mozambique for the ultimate African beach or island holiday. The Kruger National Park is Southern Africa's premier safari destination, offering prolific game viewing and a wide range of accommodation options. The luxury safaris we offer include plush lodgings in areas as wild and unique as the Okavango Delta and South Luangwa National Park. 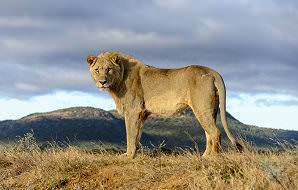 The Big Five are the continent's most impressive animals, ranging from the elusive leopard to the mighty elephant. The African lodges included in our choice collection of properties are perched in remarkable locations like private islands and primeval forests.